Beautiful! Looks like a sunset. It's gorgeous, Natalie! I hope it was as tasty as it was beautiful! It's beautiful! I hope you mean the fruit, not the post. 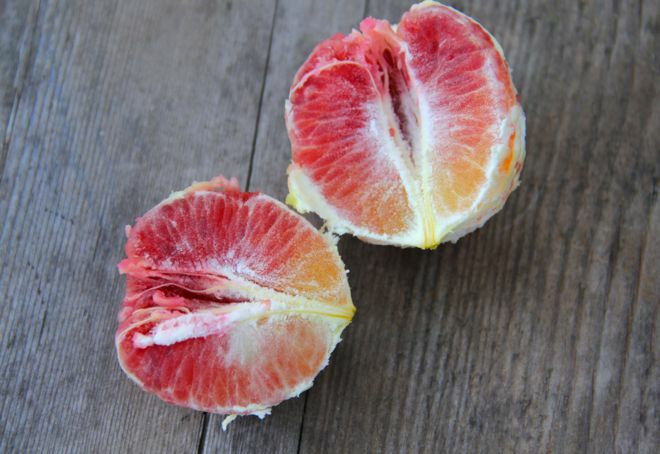 Yes, a blood orange. Our little tree gave some fruit this year. I fell in love with those colors... so artful! Judy, it's tempting. The longer I stay away... well, it feels "easy." Natalie, take it easy as long as you like. Don't feel any pressure, just post a thought or photo when you feel like it. You and your family are an inspiration to so many of us out here.